Distinguished as a practical surgeon and as a physiologist, Abernethy has earned his lasting reputation as having been one of the first to attack the old prejudice of the profession as to the origin of diseases, and as having sought for each origin, not in more local and accidental but, in general causes - in the constitution and habits of the body. 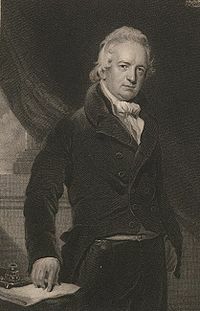 A pupil of John Hunter, in 1786 he became assistant surgeon at St. Bartholomew's Hospital, and shortly afterwards he lectured on anatomy and surgery at that institution, which to his ability and genius owes the fame which it acquired as a school of surgery. As a lecturer he had a reputation and a popularity seldom or perhaps never before so well earned in the medical schools - founded, as they were, upon a rare penetration and logical method, united with clearness and perspicuity in communicating his convictions. In honesty, integrity, and in the domestic virtues his character was unimpeachable, but the gentleness of deportment for which he was noted in his home he was far from exhibiting in public and towards his patients. His roughness and even coarseness of manner in dealing with capricious valetudinarians, indeed, became notorious. The Constitutional Origin and Treatment of Local Diseases - his principle work - in comparison with the vast mass of medical literature up to that time put forth, stands out in favourable relief. In it two great principles are laid down - that "local diseases are symptoms of a disordered constitution, not primary and independent maladies, and that they are to be cured by remedies calculated to make a salutary impression on the general frame, not by local treatment, not by any mere manipulations of surgery." This single principle changed the aspect of the entire field of surgery, and elevated it from a manual art into the rank of a science. And to this first principle he added a second, the range of which is, perhaps, less extensive, but the practical importance of which is scarcely inferior to that of the first - namely, that "this disordered state of the constitution either originates from, or is rigorously allied with, derangement of the stomach and bowels, and that it can only be reached by remedies which first exercise a curative influence upon these organs." It will not detract from the merit of Abernethy to add to this account that his predecessor, Dr. Cheyne, and his contemporary, Dr. Lambe, have most satisfactorily and radically carried out into practice these just principles; or to remark that great public reputations ought not to be allowed, as too often is the fact, to overwhelm less known but not therefore less meritorious labours. As to dietetics, the theory of Abernethy seems to have been better than his practice. When reproached with the inconsistency that the reformed diet which he so forcibly commended to others he himself failed to follow, he is related to have used the well-known simile of the sign-post with his usual readiness of repartee. "There can be no subject which I think more likely to interest the mind of a surgeon, than that of an endeavour to amend and alter the state of a cancerous constitution. The best timed and best conducted operation brings with it nothing but disgrace, if the diseased propensities of the constitution are active and powerful. It is after an operation that, in my opinion, we are most particularly incited to regulate the constitution, left the disease should be revived or renewed by its disturbance. In addition to that attention to tranquillize and invigorate the nervous system, and keep the digestive organs in as healthy a state as possible, which I have recommended in the first volume, I believe general experience sanctions the recommendation of a more vegetable, because less stimulating diet, with the addition of so much milk, broth, and eggs, as seem necessary to prevent any declension of the patient's strength. "Very recently, Dr. Lambe has proposed a method of treating cancerous diseases, which is wholly dietetic. He recommends the adoption of a strict vegetable regimen, to avoid the use of fermented liquors, and to substitute water, purified by distillation, in the place of common water used as a beverage, and in all articles of diet in which common water is used, as tea, soups, &c. The grounds upon which he founds his opinion of the propriety of this advice, and the prospect of benefit which it holds out, may be seen in his Reports on Cancers, to which I refer my readers. "Because I know some persons who, whilst confined to such diet, have enjoyed very good health; and I have further known several persons who did try the effects of such a regimen, declare, that it was productive of considerable benefit. They were not indeed affected with cancer, but they were induced to adopt a change of diet to allay a state of nervous irritation, and correct disorders of the digestive organs, upon which medicine had but little influence. "Because it appears certain that, in general, the body can be perfectly nourished by vegetables. "Because all great changes of constitution are more likely to be effected, by alterations of diet and mode of life, than by medicine. "The above opinion of Mr. Abernethy," remarks an experienced authority upon the subject, "is most valuable, for he watched the case for three and a half years under Dr. Lambe's regimen, which is directly opposed to the system of diet which he had advocated, before he met Dr. Lambe, in the first volume of his work on Conditional Diseases, and from his rough honesty there is no doubt that had Dr. Abernethy lived to publish a second edition he would have corrected his mistake." As it is, the candour by which so distinguished an authority was impelled to alter or modify opinions already put forth to the world, claims our respect as much as the too general want of it deserves censure. Surgical Observations on Tumours. John Abernethy, M.D., F.R.C.S.